In nature, light creates color. At Le Soleil d’Or, light and color reenergize the heart and the spirit, enlivening our guests with the experience of life as it should be. Le Soleil d’Or sets a new standard in ultra-private luxury. By blending European, Mediterranean and Caribbean influences with 5-star amenities and a 20-acre organic farm, the ultimate in perfected comfort is created at this beachside sanctuary. Just one hour from Miami, our villas are far enough away to make you feel as though you’ll never be found again, or at least not until you have been rediscovered. We invite you to experience the colors of Cayman Brac with us at Le Soleil d’Or. Here, tranquility invigorates the mind so you can be more attuned to what matters most. More than an island vacation, Le Soleil d’Or is an experience in barefooted elegance. Whether you are relaxing by the beach or pool or exploring world-renowned dive sites, the ubiquitous ultramarine waters and endless sky will turn even familiar outdoor activities into unforgettable and indulgent memories. The heart and soul of Le Soleil d’Or is our 20-acre farm. Experience the joy of our farm tour. Let our garden paradise set your mind at ease and heighten your well-being. 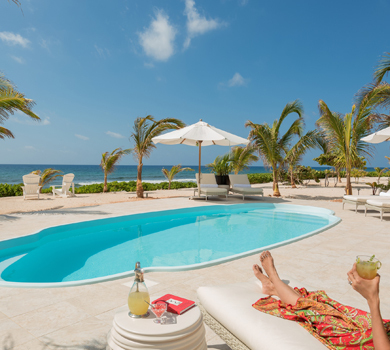 From our white sand beach to the island’s sun-bleached limestone Bluff, Le Soleil d’Or balances privacy and perfection. 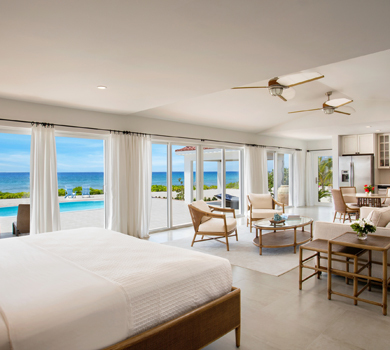 With days emptied of interruptions and the island at your fingertips, Le Soleil d’Or provides unparalleled personalization. Learn the lesson of warmth from the sun and from the people of Cayman Brac. The never-ending summer sunlight and the farm’s bounty will replenish you. Let us help you disconnect so that you can reconnect with what’s most important. Welcome home to life as it should be.